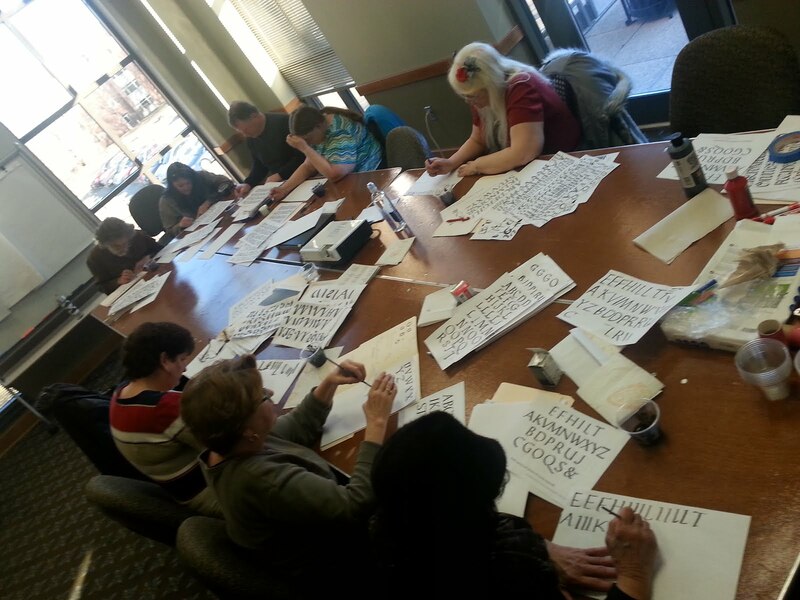 Paul Herrera’s calligraphy and lettering training was done exclusively with Reverend E. M. Catich. 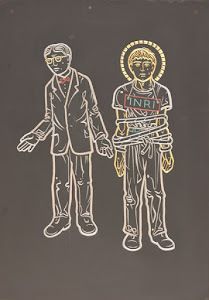 Beginning as an undergraduate in 1967 and after a short interruption of military service, Paul worked as inscription cutter and calligraphy seminar assistant with Father Catich until the time of his death in 1979. At that point Paul was invited to teach Father Catich’s classes at St. Ambrose and would continue to do so until 1989. During that time Paul also served as a faculty member of five international calligraphy conventions. They include; “The Calligraphy Connection” held at St. John’s University in Minnesota 1981 and 1984, “The California Experience” held at Scripps College in Claremont, California 1985, “Innovations” held at Stevens Institute in Hoboken, New Jersey 1986, and “Calligraphy Northwest” held at the University of Portland, Oregon in 1987. During his forty year career Paul has conducted numerous lettering seminars for calligraphy organizations throughout the Midwest and Canada. He continued inscription work for Wichita State University and an architectural firm in Chicago as well as individual clients. 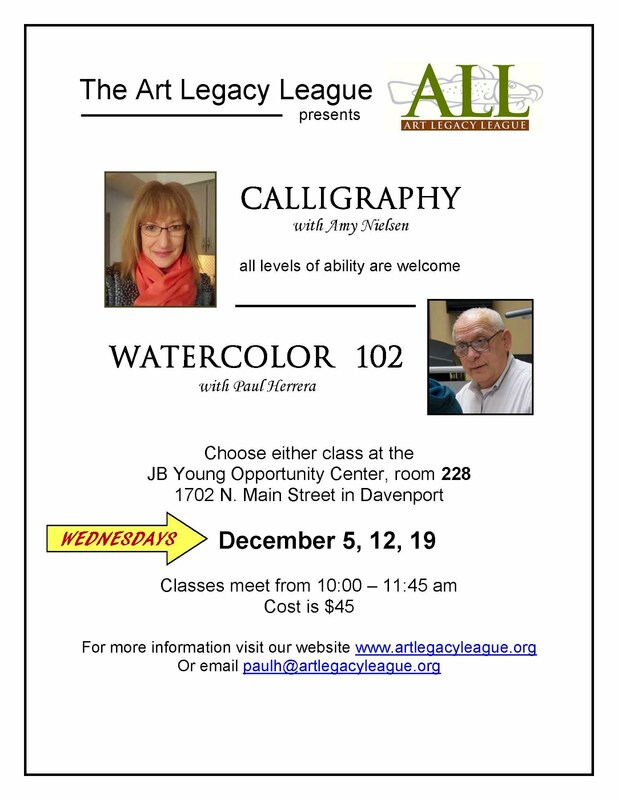 Additionally, he was watercolor and calligraphy instructor at the former Davenport Municipal Art Gallery from 1973 – 1984. He retired from civil service in January of 2009 and now works full time in his studio and offers workshops in calligraphy. Great Couple of Days at the Christkindlmarket! JOIN ME AT THE CHRISTKINDLMARKET DECEMBER 8-9!! !